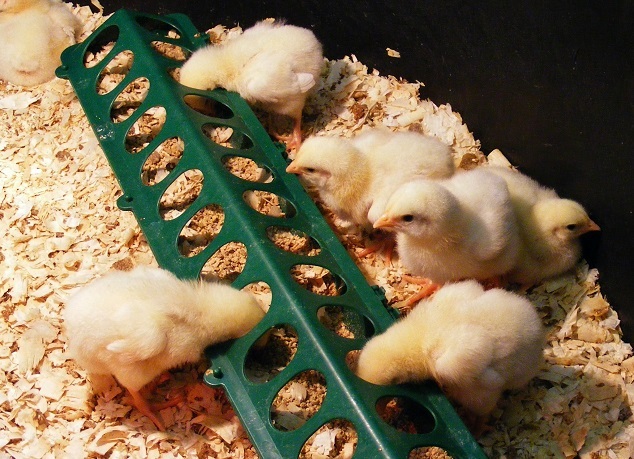 We have been asked by several people how to find out which are the best hatcheries to get your chicks from. Cackle Hatchery are one of the largest hatcheries in the US. In this article we have put together a guide on how you can assess the hatchery yourself. You can then make an informed decision about your available hatcheries and what they have to offer. Not all hatcheries are created equal. It is up to you to do your homework and check the establishment and its reputation before you buy. Firstly, what’s the difference between a breeder and a hatchery? Specializes in one or a few breeds. Will likely exhibit their birds at fairs etc. Small, self-contained enterprise – will occasionally make money! Are knowledgeable about their birds and will happily share this knowledge. Stock that you buy will be more expensive. Usually breed to American Poultry Association or American Bantam Association standard. A commercial endeavor – they exist to make money. Generally does not specialize in any particular breed. Birds cheaper and generally slightly less quality. Generally have more chicks available. 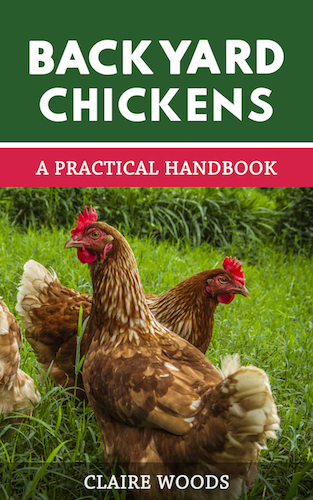 General knowledge about poultry – not necessarily breed specific. Sells equipment, incubators, brooders etc. May or may not breed to APA or ABA standard. Hatchery birds in general are bred for productivity and there is nothing wrong with that. 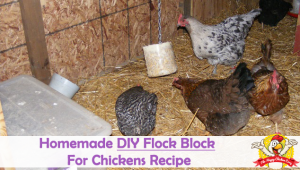 It ensures a good supply of homestead quality birds for a small outlay. When you think back to Grandmas’ chickens – she wasn’t looking to win any ribbons, just feed her family! Before you go and get your chicks, make sure you know what you want from your birds. Are they going to be for eggs and/or meat, do you want to ‘show’ your birds or are they going to be ‘productive pets’? If you aren’t going to breed the hens as ‘show quality’ or you don’t want to do exhibitions, the slightly less ‘quality’ hen is probably ok for you. So, let’s now take a look at how to assess hatcheries and decide which is for you. You need to know how long the operation has been in business. This might seem immaterial, but the older a business is the more likely they are to have lots of customers who keep returning year after year for new stock, which means they are well tested and probably very reliable. You also need to know is it a ‘bricks and mortar’ business. There are several companies on the internet who are intermediaries – we’ll talk about them in a bit. Usually you can find a short bio of the company right on their front page. It usually says something like: “family owned business, operating in Utah since 1930”. This tells you it’s been around for a while and it’s not owned by a giant corporation – so far, so good. If the website is messy and difficult to navigate, personally I won’t use it. I want it to be ‘clean’ and easy to move around in; otherwise it becomes an exercise in frustration – this obviously is a personal thing, but bear it in mind. Google is a wonderful instrument – make full use of it in checking reviews of hatcheries. If I’m checking a hatchery I read the 5 star and 1 star reviews first, then I scan through the middle of the road reviews. The things I look for are recurring themes – wrong chicks, ill or deformed chicks, order mix-ups etc. If there is a complaint about communication from the hatchery I usually take it with a grain of salt. Some folks cannot communicate well so it’s a personal thing. If there are several complaints about the same thing – red flag! Compare the number of positive/neutral/negative complaints recorded – if a site has 500 positive and 1 negative review then they are overwhelmingly positive. You can also check to see if the hatchery is a Better Business Bureau member. If they are, they have to address any complaints in an appropriate manner. These are a bit tricky to find. The health concerns are the easiest to locate. Using your nifty Google button, check out the particular hatchery you are looking at and see if they have hygiene issues. For example – Mt Healthy Hatchery was linked to salmonella outbreaks in 2014 as was Privett Hatchery in 2013. A simple search term such as ‘hatchery name’ and ‘salmonella’ will bring results that you can refine. Some hatcheries have more variety of hens, turkeys, guinea fowl, peacocks etc. than you can shake a stick at! Other hatcheries are slightly smaller and concentrate on the less ‘exotic’ birds. When will the chicks be available? Can you mix and match chicks? If you have any questions before you buy, call the company and talk with someone. A couple of fine, reputable hatcheries that have excellent stock and many rare breeds, are not that great at getting orders out on time. Understandably, since the stock is not intensively raised, you can’t determine when a particular breed is going to start laying well. If you want a particular rare breed, you may have to wait for the chicks longer than anticipated. I’m told the wait is worthwhile though. A brief note on shipping – usually the hatcheries do their best to get your order to you as quickly as possible, alive and intact, it makes good business sense. The US Postal Service is responsible for getting the package from A to B in the agreed time frame. However, this does not always happen – it seems to depend on where your chicks/eggs are coming from. I have received chicks from California to New York very quickly, in great shape and on time. I have also received shipments of chicks and eggs from Kansas – two days late despite paying extra postage, two chicks dead, box crumpled at the corner. The eggs were 75% non- salvageable. It is not always the hatcheries fault that your chicks arrive dead/dying or perhaps don’t arrive at all, so keep that in mind before you yell down the phone at them. When you pick up chicks/eggs at the Post Office, open the package in front of the Post Master (they are your witness). If the chicks are dead/dying, take photos and start a claim form immediately. Call the hatchery when you get home. Drop shipping is a retail term used in the hatchery trade. 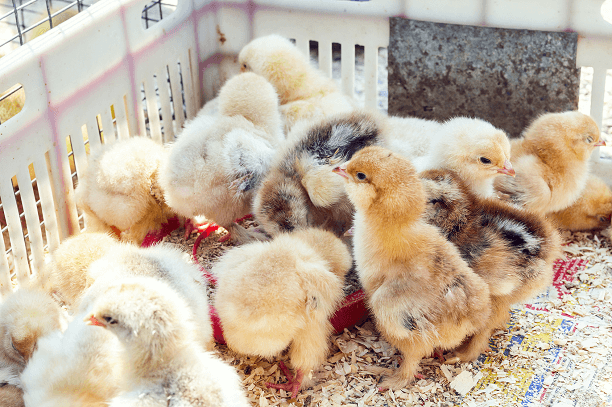 A hatchery may not keep all the breeds that are listed on their site but have contracts with other people/hatcheries who do specialize in certain rarer fowl. So if you want two dozen Blue Laced Red Wyandottes, the hatchery will pass the order to their ‘subcontractor’ who will fill your order. 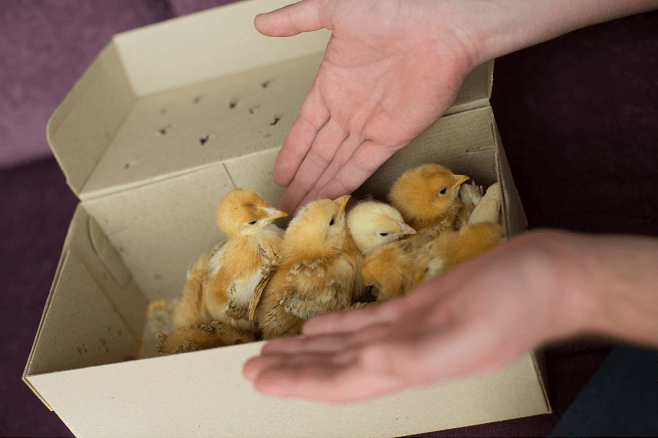 Intermediaries are people who gather together several orders for a specific breed, order them from a hatchery and then split them up into the ‘buyers’ request’. In this manner you can actually buy as few as three chicks through the mail. The cost is slightly higher, but reasonable for the convenience. The main take away point from this should be that you need to do your homework! Try to plan in advance what chicks you want. A great way to organize your thoughts is to get paper catalogs from various hatcheries. This way you can easily compare prices and company policies. It is not always good practice to go with the cheapest – remember you get what you pay for. In my experience, most hatcheries charge roughly the same for chicks. Prices can vary a lot if you want something unusual such as Black Swans. 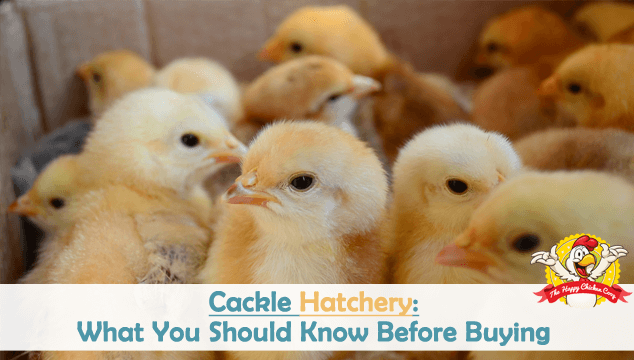 We have armed you with lots of information on how to select a hatchery for your chick orders. I cannot emphasize enough that if you are in doubt – don’t. If you are undecided, sometimes calling the hatchery and talking with a staff member can set your mind at rest – or make the decision for you. If they can’t wait to get you off the phone, take your business elsewhere. The hatcheries that I have used have been super helpful, offering suggestions as needed and keeping me updated on shipping dates etc. We hope this has helped – happy chick shopping! Thanks SO MUCH!!! for your emails. I have been told a sprinkle of Oregano on chickens drinking water is a natural antibiotic – Our 11 girls are free to roam our 2 acres, and seem to be pretty happy. We got silkies from Cackle Hatchery..via post office. All survived and wonderful chicks. We are on our 3rd generation silkies and love them. Thank you for sharing this Suzzette! What about buying chicks from a feed/farm supply store? Would you recommend that being alright? Thank you for the Best of luck,as for anyone who has more roos than they need and your hens are getting a bare back, please look into a chicken saddle for them, they are life savers for the hens. As for the roos, when the hens scatter it’s nice to know there will be a roo there to protect them. My (first) order is due to arrive next Friday from Cackle hatchery. We’ve ordered from Cackle twice and both times big success. No issues what so ever. They were a pleasure to work with, communicated via email, we ordered all hens both times which is what they are. ? percent happy with Cackle Hatchery. So now it is Friday the 19th, 2019…overnight I have had 6 more chicks die…with the temp just right the right pine shaving flooring the right apple cider water vinegar mix for drinking and the egg yolk mix with food and right spacing for light and on and on about how I need to nurse the remainder of chicks back to health I have called this place and speak to a supervisor and am told the only way to send chicks out is through the USPS and it is their pblm if the chicks die before getting to their location…how do these people stay in business when sending out a live animal knowing it may or may not make it…who cares! 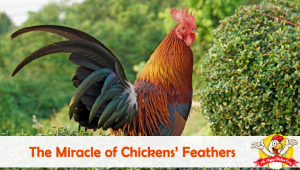 Never again will I buy from Cackle Hatchery …it is simply about the money and bragging they have been doing this since 1933 or some year long ago. Oh, how would as a small time chicken owner like to call in a final DEAD COUNT 2 days after arrival! I am a small time chicken owner so I could care less what a large chicken house owner, with thousands of chicks has to say b/c they are only in it for the money and could care less about 1 chicken dying it is only if 1000’s die and it hits their pocketbook.